Although the first official day of winter is still a few weeks away, everyone can agree that the winter season is underway. It is time to get out the wool, scarves, gloves and toques and put those winter tires on your car. It is also time to turn up the thermostat in your home, and unless your home has been properly winterized, this could mean huge costs in heating and wasted energy. As the premier real estate agent for Niagara on the Lake, I would like to share the following tips on how you can thoroughly winterize your home and keep heating costs down. Fortunately, drafts are quite easily fixed. For drafts around windows or in window frames, consider using either weather stripping or if the window is not used or in an out of the way spot, consider taping it over with a clear plastic film. For drafts under doors or between foundations, place towels or rolled up material to stop the incoming cold air. You can also think about using a door sweep to provide a more permanent fixture for drafts under doors; especially if you use that door quite often. Just like your car, your furnace will need some maintenance from time to time. A properly maintained furnace can save you up to 5% in heating costs. To get your furnace running smoothly it may just need a new filter so have a look. Remember, a quick filter replacement or an annual furnace maintenance is a lot cheaper than having to replace your furnace. If you do have to replace your heating system, look for an energy efficient model and apply for the tax credits that are offered. If you do not have a programmable thermostat, now is the time. A digital, programmable thermostat can save you anywhere from 1% – 3% on your annual heating bill. The thermostat will pay for itself in the first year alone, so why not make the switch? By going to a programmable thermostat, you can regulate the heat in individual rooms and only heat the rooms that are being used for the time that those rooms are being used. Winter in Niagara on the Lake is a special time of year and you want a cozy, warm and comfortable home to enjoy all that this season has to offer. 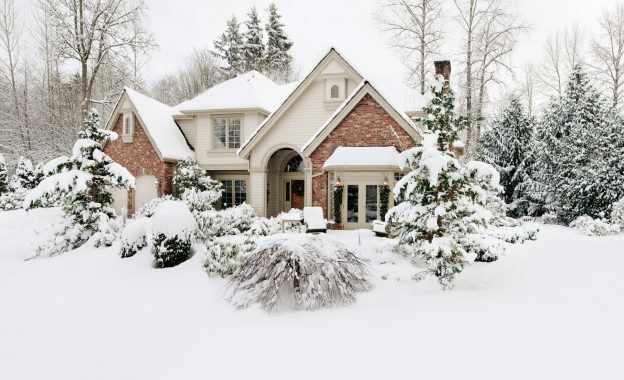 If you would like any other strategies on how to winterize your home or would like to see some of the exciting new properties that are available, please feel free to contact me. I would love to show you why winter is one of my favourite seasons in Niagara on the Lake. This entry was posted in Blog on December 11, 2017 by Kevin Stokes.